Browsing news and articles with your iPhone Safari browser, and you may well need to export Safari bookmarks from iPhone to computer or Mac(macOS Mojave included) so as to review them on a bigger screen. That been said, which is the best way to export Safari bookmarks, either to a computer or Mac? 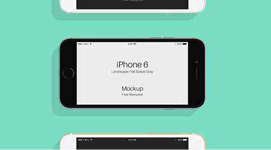 Amongst all the method to backup bookmarks, DearMob iPhone Manager is your answer. Also support up to 11 kinds to iPhone data transfer. As the native web browser for your iPhone and iPad, the majority of iPhone users stay with Safari for their everyday browsing habit. It's a good idea that you take the advantage of the fragmentary time to read and bookmark some in-depth articles with Safari. That been said, you might consider how to export Safari bookmarks from iPhone to computer/Mac so as to read them on the computer screen, or backup bookmarks that you saved on Mac to another Mac. Chances are that you might already have tried iCloud bookmark services to sync your bookmarked web-pages across all Apple devices, be it Macs or iPhone, iPad. This isn't a bad way to export Safari bookmarks as long as you sign in to all Apple devices with the same account. However, we don't really recommend you to do so due to seldom problems like iCloud backup could not be completed. The other way-round, however, cable-based way to export Safari bookmarks is more reliable. In the following part, we'll introduce to you how to export Safari bookmarks from iPhone to Mac/computer, and then how to export Safari bookmarks to another Mac in order. 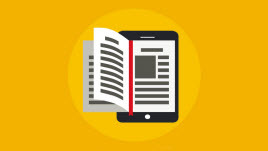 Part 1: How to Export Safari Bookmarks from iPhone to Computer? 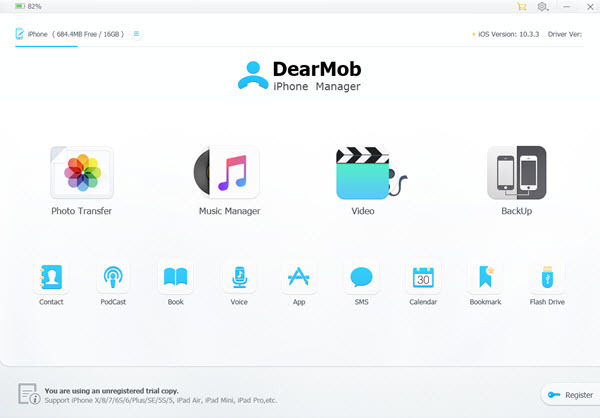 Step 1: First download DearMob iPhone Manager for Windows or Mac - one of the best iPhone backup software 2019, install and launch it. Step 2: Connect iPhone (iPhone XS/Xi/X Plus) to computer with a USB cable, then tap "Trust this Computer" on your cellphone if this is the first time you try to connect. Step 3: When you see this bookmarks backup tool recognizing your iPhone, click on "Bookmark" icon on the buttom line of DearMob iPhone Manager. Step 4: Note that you'll need to turn on iCloud services for bookmarks according to the guideline of DearMob iPhone Manager: Visit Settings > iCloud > Toggle switch off "Safari" icon. Step 5: Manually choose or select all the bookmarks shown on the left-hand menu of DearMob iPhone Manager, then click on "Export" > Sync. By default you'll find the exported bookmarks in the C: > Users: > Documents > DearMobiPhoneManager folder. Tips and Notes: Aside from being able to export Safari bookmarks, you can edit bookmarks as well as re-organize them altogether with the help of this tool. Also take a look at this free Safari video downloader to help you download videos, movies, TV shows from Safari browser. If you don't often read on iPhone, chances are that the Safari browser for Mac saves the majority of your important bookmarks. What if you'd like to show them off to a friend while dropping a visit to his/her house? 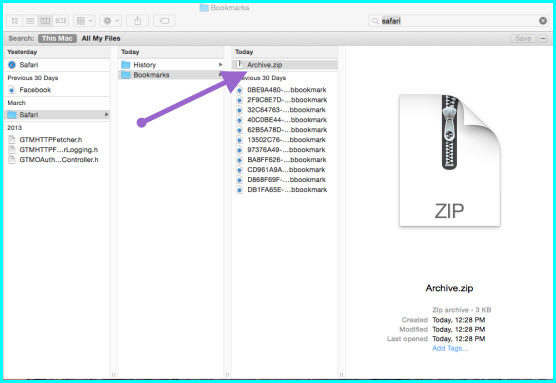 Here's how you can export Safari bookmarks to another Mac easy fast. Step 1: When trying to export Safari bookmarks to another Mac, first open the "Application" APP on Mac, type to search for "Safari", open the Safari folder to access your bookmarks. Step 2: First check all bookmarks, and then right click > Compress -> by doing this you get a *.zip file for the bookmarks you want to export. Step 3: Copy the folders with a USB stick or simply send it with email to another computer, when you need to import all the bookmarks with the Safari browser on another Mac, past > decompress the bookmark files to the Safari folder on another Mac. Tips and Notes: Unlike how you can export Safari bookmarks from iPhone to Mac, this method doesn't sport bookmarks editing or reorganizing features, which means you can only expect bare-bone bookmarks backup & restore functions of it. Click to download DearMob iPhone Manager -> The best iPhone management tools to help you export Safari bookmarks from iPhone to Mac/Windows or import bookmarks to Safari as easy as ABC. You may well rely on it to backup iPhone photos, voice memos, SMS and more. 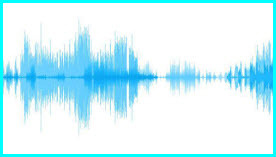 Learning how to make ringtone from YouTube for iPhone (X/8) will save you much money and help create ulimited custom iPhone ringtones from YouTube videos and music. Best free ringtone maker for iPhone 8 roundup list 2019! Change iPhone 8 default ringtone can be way easier than ever after reading this guide & review. 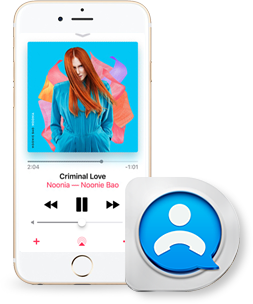 Just make free ringtones from your iPhone Apple music with free ringtone maker iPhone 8. How to convert MP3 to iPhone ringtone? Turn any MP3 music audiotrack into iPhone ringtone to make customized iPhone ringtones instead of paying for them.